Perhaps the most alluring (and terrifying) characteristic of Neflix’s most recent binge-worthy series, You, is how eerily realistic it is. Friends who urged me to watch also declared that they had changed their Instagram profile settings from “public” to “private” after viewing it, piquing my interest and sending me to check that my own settings were indeed already set on private. Twelve hours later, I finished the show, and was left with a deep distrust for bookstore workers and charming young men. 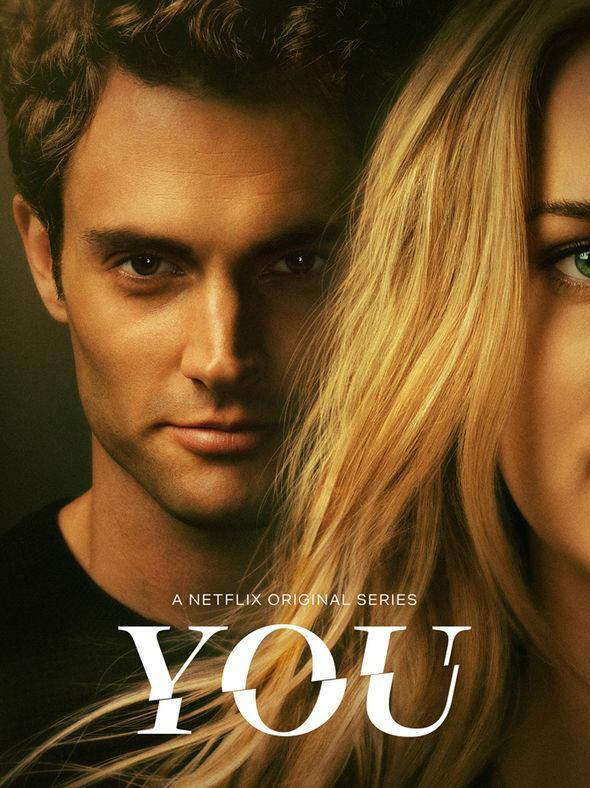 You, starring Gossip Girl’s Penn Badgley and Once Upon a Time’s Elizabeth Lail, opens with close up shots of the female protagonist Guinevere Beck (known by her friends as Beck), paired with a voice-over from unassuming bookstore clerk Joe. From his first “Well, hello there,” viewers are tasked with figuring out whether Joe is the typical male hero who ultimately gets the girl to fall in love with him, or if his intentions are malicious and Beck should turn and run in the opposite direction. As the story unfolds, we hear more voiceovers revealing Joe’s internal thoughts, and it becomes clear that Joe is a narcissistic, psychologically twisted stalker disguised as a charismatic nice-guy, with the intention of becoming the perfect guy for Beck. While the message from the beginning seems simple (don’t allow random men to stalk your social media and maybe get some curtains for the huge windows in your apartment), the real point that You drives home is how easy it is to assume the best of someone. After all, if we weren’t allowed to hear Joe’s thoughts or see the disturbing things he does when he’s not with Beck, we could be fooled into believing he is the perfect boyfriend and that he and Beck belong together. Instead, viewers are essentially trapped in Joe’s perspective, where he romanticizes his habit of watching her through her windows and justifies how each murder he commits is an act of chivalry. He prides himself on how he removes the “obstacles” in the way of Beck’s happiness, which turn out to be other people in her life who he perceives as a threat. As alarming as this seems, the show presents Joe in a somewhat sympathetic light, and the audience finds themselves rooting for him at certain times. Each time he saves himself from being found out by Beck or her friends, viewers are almost inclined to breathe a sigh of relief. It’s almost enough to let one forget, or at least excuse Joe’s crimes, which include stalking, aggressive and abusive control, sexual assault and murder. The interactions between Joe and Beck follow the typical storyline of a romantic comedy, creating the unsettling authenticity that urged my friends to make sure their Instagrams were set on private. How many rom-coms begin with the same situation where the boy meets the girl in an innocent, cute coincidence, sparking a relationship that progresses as they continue to run into each other? They all resolve in an unrealistic but romantic conclusion, where it turns out the two characters are meant to be together, ignoring the questionable means that the guy uses to get the girl’s attention. You takes this overdone plot line and twists it into a more logical conclusion, where the female character turns out to be in real danger. Concluding with a terrifying finale, You romanticizes Joe and Beck’s relationship with underlying horror that makes the viewer want to scream at Beck to get herself out. The most frightening part? It makes you feel like the same thing could happen to you.